If you want to keep your vehicle in good shape, chances are you don’t wait to have a professional look at it until it’s completely out of oil and the tires are flat, right? No, we highly doubt it. You take it into the shop regular to have it checked out and ensure its operating as it should, with no signs of disrepair. So why wouldn’t you do the same for your water heater? True, you can’t take your water heater into a shop to have it checked—that’s what professional plumbers are for. Many of the problems that can impact your water heater start forming slowly and subtly—you probably wouldn’t even notice the majority of them on your own. But when we come to your home to perform maintenance, we’ll spot any problems that can exist. Our inspections reveal issues before they have the chance to develop too far, so they can be repaired as quickly as possible. If you make sure to keep up on your maintenance on a yearly basis, you should be able to save a lot of money on repairs, and extend the useful life of your water heater by many years. Preventive maintenance will help lower the chances of a problem developing with your water heater. However, no amount of maintenance can fully prevent things from going wrong. 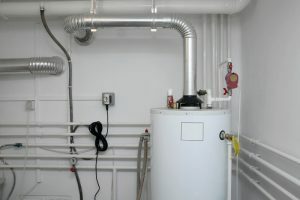 There is a chance that at some point, you’ll have to deal with a water heater repair need between maintenance sessions. If and when that occurs, the best thing you can do is call for repairs ASAP. Even if you’re not quite sure the symptom you see or hear is the sign of a repair need, it’s better to be safe than sorry—the faster you can have a problem repaired, the less subsequent damage it will cause. Be cautious and save money at the same time, by scheduling annual maintenance, and scheduling any repair needs shortly after. Both your water heater and your wallet will thank you. For a reliable plumber in Creve Coeur, MO, look no further than Performance Plumbing. Contact us today!